Samantha is our Structure from Motion technology allowing to recover photos position and orientation automatically without providing that with any additional information. It is known in the scientific community as one of the most effective and advanced. Part of our work has been published in top tier international computer vision conferences. 3DF Stasia is our proprietary algorithm to extract very accurate dense point clouds from a set of 2D images. In Computer Vision this process is best known as Multiview Stereo. It closely speaks with Samantha to give the most accurate reconstruction as possible. We stressed accuracy and we do make use of every single pixel of the input images to generate the dense cloud. 3DF Sasha is our proprietary algorithm for mesh extraction: given a dense point cloud full of details, it is important to preserve as much detail as possible when extracting the surface. Sasha allows to get sharp edges on a 3D model and that is why it is more suitable for those applications such as architecture, industrial survey and urban monitoring. In the fourth and last phase of Zephyr, namely the texture generation, we have added a brand new algorithm to deal with textures Color Balance. This algorithm allows to automatically select and set the most suitable color for each pixel. That lets users to get stunning results even though their photos are taken in different light conditions. This optimization is fully committed to streamline meshes generated with 3DF Zephyr and it is available from version 3.0 of the software. Mesh Photoconsistent optimization allows to highly increase any detail of the reconstructed surface without compromising its accuracy or alterating the original scene’s shape. Use the slider to view how different the results look with photoconsistency off (left) or on (right). 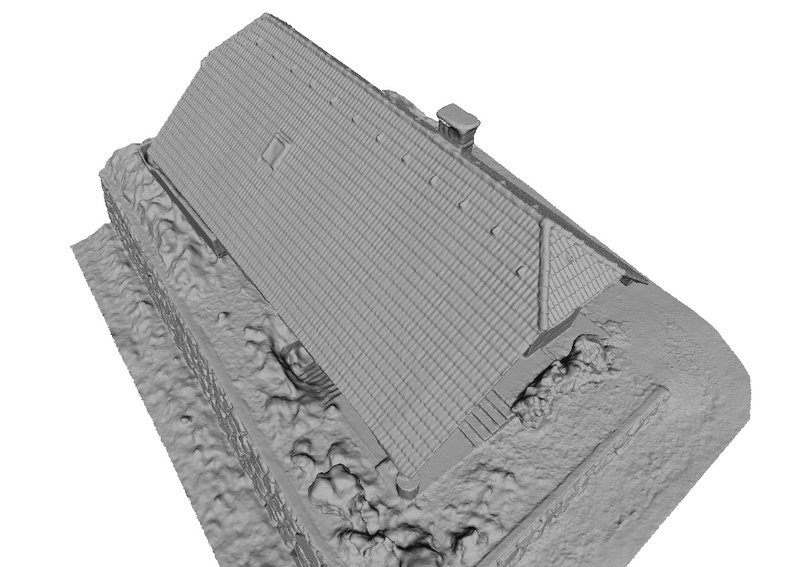 3DF Zephyr now supports advanced laser scanner data handling thanks to the so-called Multi-ICP (Iterative closest point), an algorithm employed to minimize the difference between two point clouds. Multi ICP algorithm allows to merge different kind of point clouds and to colorize laser scanner clouds as needed. Above all, it allows to import point clouds of any size without weighting on Zephyr’s performances and to quickly and accurately register more laser scan clouds. This tool has been developed as an external executable that is included in the 3DF Zephyr installation package. Masquerade allows to mask images areas through a smart and handy way so as to save as much time as possible during masking operations.